It's time for another installment of Tuesday Teamup with Color Me Courtney. 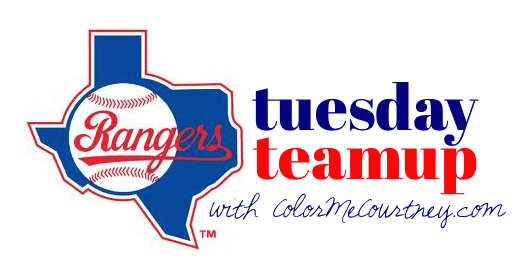 This week we have Texas team to showcase for you, the Texas Rangers, one of my favorite teams. When the weather is as hot as it is right now in Texas, it can be a challenge to assemble cute gameday looks that are weather appropriate. These three gameday looks definitely will help beat the heat. 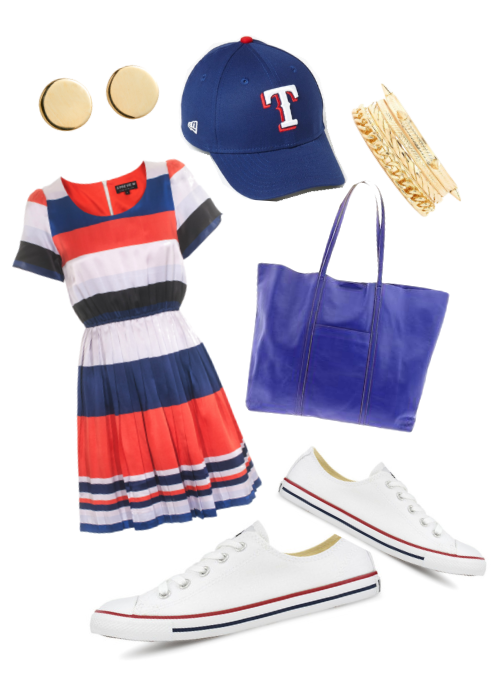 Head over to Color Me Courtney for three more Texas Rangers gameday looks.